The Dark Knight Rises Blu-Ray: Exclusive First Look! We headed to Warner Bros. Studios to get an exclusive look inside The Dark Knight Rises Blu-Ray and its second-screen app. The addition of The Dark Knight Rises second screen app, further enhances the Christopher Nolan experience. 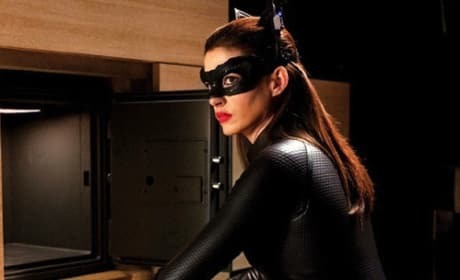 Anne Hathaway talks about the first time she met The Dark Knight Rises director Christopher Nolan and his expectations for her. Hathaway also dishes what it means to be part of the Batman universe. Christian Bale is quite reflective as The Dark Knight Rises closes out the Batman trilogy. 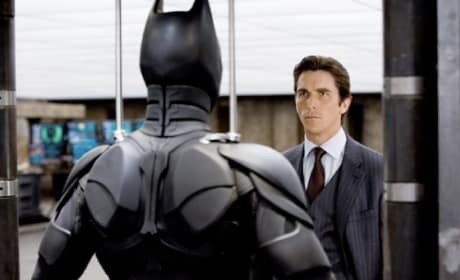 Bale talks about working with Christopher Nolan, the first time he put on the costume... as well as the final moment he wore the famous batsuit. 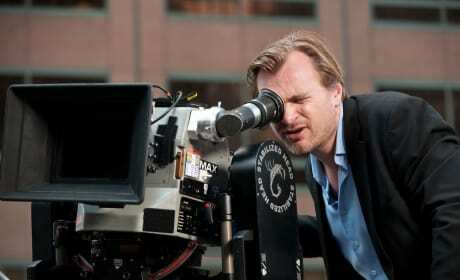 Christopher Nolan has reached the end of his Batman journey and sits down to talk The Dark Knight Rises. Nolan explains what is at the heart of his Dark Knight trilogy and why he believes it is so resonant. Because he's the hero Gotham deserves, but not the one it needs right now...and so we'll hunt him, because he can take it. Because he's not a hero. He's a silent guardian, a watchful protector...a dark knight.